Not all of the best food in Baja is of the “Baja Med” or “Nuevo Cocina de Baja” variety that has soaked up so much ink of late (and rightly so). 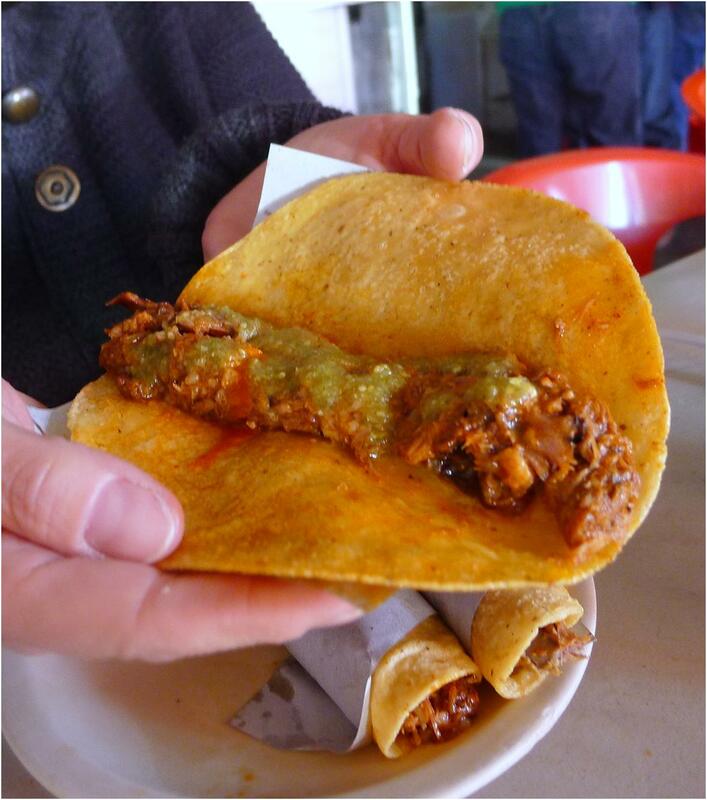 In fact, not all of the best food in Baja is inherently of Baja. Much of it, it seems, is Sinaloan. 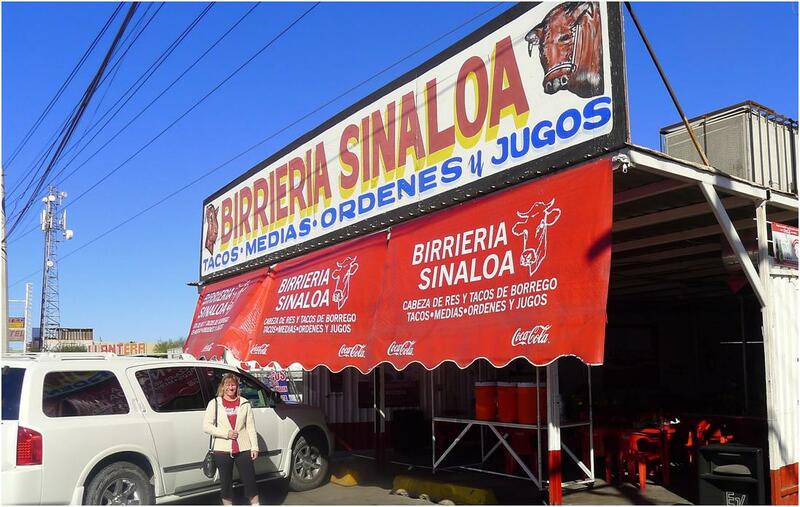 Birrieria Sinaloa on the outskirts of Mexicali is one such example. The prevalence of Sinaloan food in Baja should not surprise: Sinaloans have historically made up the largest percentage of internal Mexican immigration into Baja California. 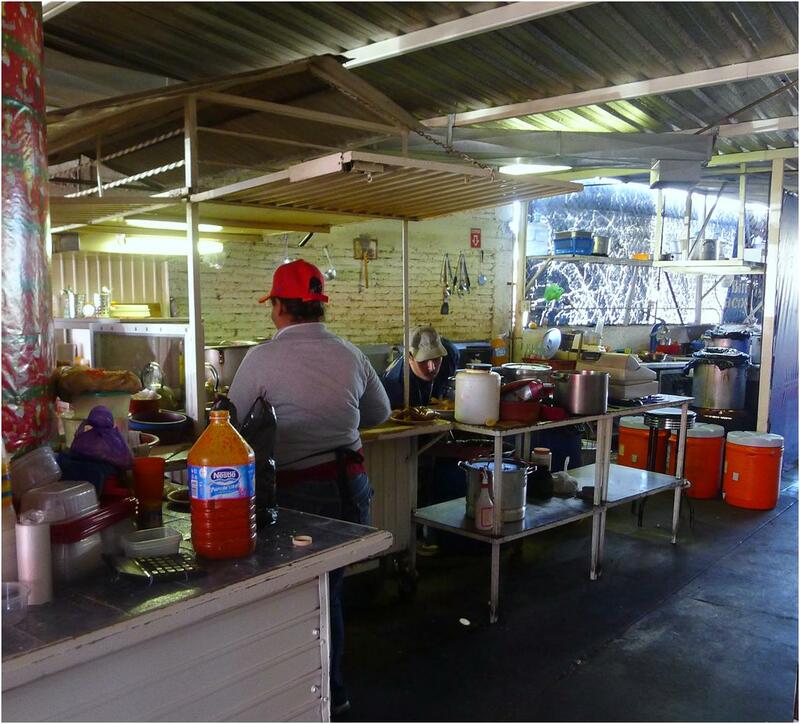 While the drug wars of the mainland – far more violent than those in Baja – may be changing that immigration pattern to some degree the influence of Sinaloan cuisine is still felt strongly in Baja. Birria – pronounced “bí-rri-a,” with the accent on the first syllable — is a spicy Mexican meat stew usually made from large joints of goat, lamb, mutton and sometimes beef which is simmered with roasted chiles, salt and often the roasted leaves of the maguey plant. 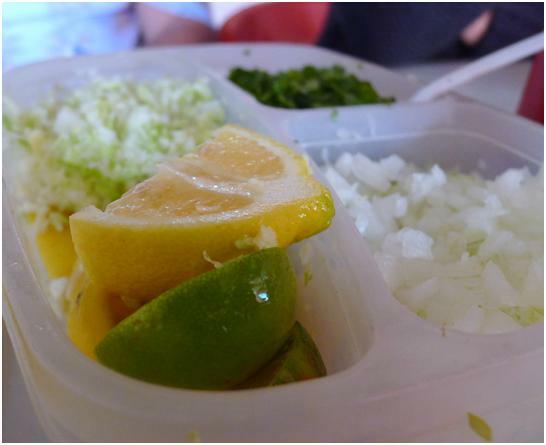 The stew is generally served with corn tortillas, chopped onion, cilantro and lime. At Birrieria Sinaloa the stew was served in the tortillas as tacos and the condiments included chopped cabbage, a nice touch. Also on offer were two salsas presented in squeeze bottles which, for all the world, suggested the contents were ketchup and mustard but which in fact offered forth a spicy red chile sauce and a deeply savory green chile offering. 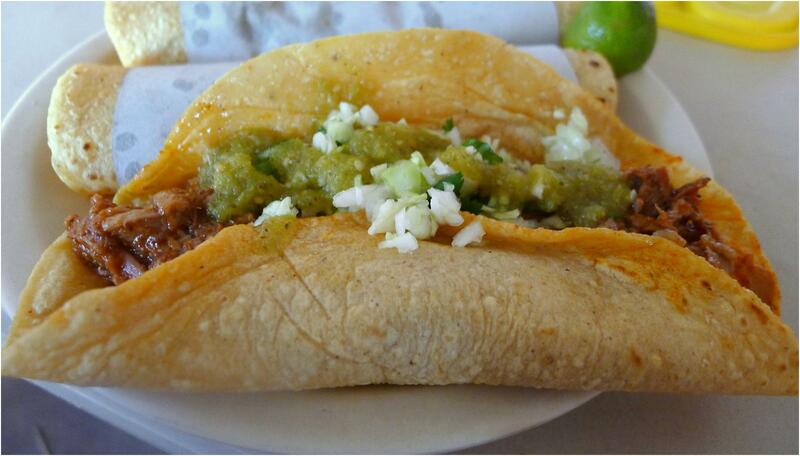 We ordered two tacos de Borrego (lamb) and one taco de Chivo (goat). They were both superb. Those unfamiliar with goat meat might suspect it would have the stronger, more gamey flavor. It is, though, quite the opposite. The lamb was the stronger of the two with the goat offering a deeper savoriness. Both had been stewed until the meat was literally falling off the bone and tender as it conceivably could have been. There is in Birria a deep element of that “food of love” thing. It is, especially for one such as me who grew up eating Mexican food, something that is very homey, very much “comfort food.” It didn’t make itself. It isn’t fast food. And if someone did not care greatly about what went on the plate it would not be 1/10 as good. And did I mention that it was very, very inexpensive? It did not taste inexpensive. It just was. Thanks for this very inviting review and for the scrumptious photos! it’s appetizing how they go all kinds of Mexican on food without the fanciness and just pure authenticity. Restaurant like Baja will surely satisfy your cravings. Do they deliver? Let’s hope so. The pictures really looks delicious! Is it really that spicy? Thanks for sharing! It is not all that spicy on its own…but the salsas can take it over the top if you like.